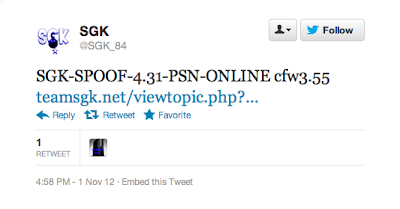 Today developer SGK has updated his spoofer to bring support for 4.31 allowing CFW 3.55 to access PSN once again. Check out the release notes and the download link below. 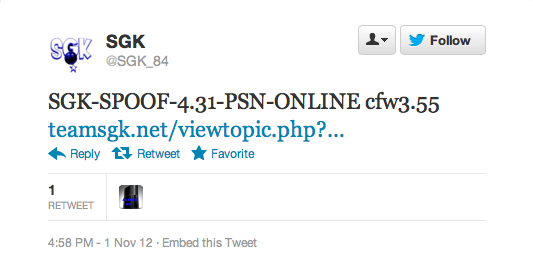 SGK Spoof is compatible with 4.31 ReActPSN and good PSN games online! Download, SGK-SPOOF-4.31 and install via "Install_Package_Files"